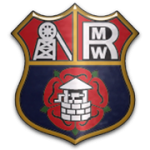 Unfortunately today’s game at home to Whitehall Welfare has been postponed. We’ve had some severe winter weather over the last week which has resulted in the game being cancelled following an early pitch inspection. We’ll confirm the re-arranged date for this game as soon as we have it. 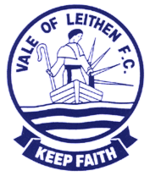 Chris Anderson believes that a second win over Whitehill Welfare this season would be a statement of intent by his Vale of Leithen team. Vale won 2-0 at Ferguson Park on September 10 with goals from Liam McIntosh and Kevin Motion, and Anderson said: “Our previous meeting at Rosewell was one of our most accomplished of the season and it would certainly put down a marker for the future if we can do the double over one of the big boys in the league. Welfare’s fortunes have changed since that defeat and they are now above Vale in the league with a game in hand and have won their last three matches. Historically one of the strong non-league sides, if they remain around the same spot it will be their best finish in the Lowland League since it’s first season in 2013/14. However, if Vale do manage to make it two wins against the Rosewell men they will jump ahead of them again. To do so they will have to stop a winless run of three matches. To add further intrigue to the match, Whitehill have eight players who once played their football at Victoria Park. Vale will have to conquer another potentially tricky away day if they are to bounce back from Wednesday night’s defeat to Gala Fairydean Rovers. 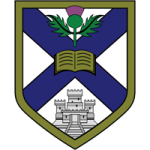 Edinburgh University were also victims of that result with Gala jumping above them in the Lowland League table and they now find themselves in 13th. But as we so often see, and Wednesday night was the prime example of this, most teams can beat each other on their day. Last weekend, as Vale were crashing out of the South Challenge Cup, Uni were advancing to the next round with a 1-0 win over Wigtown and Bladnoch. That result continued a winning streak which now spans three matches following successes over Selkirk and Preston Athletic. In contrast, Vale have lost their last two and they will be looking to get back on track in their quest for a top half finish. Allowing a slump to continue would put them in danger of being sucked into the bottom section in a league where every point is a prisoner. Speaking before the Gala defeat, Chris Anderson said: “We are away at Gala then Edinburgh University – if we win both we will be pushing for a top six finish, if we get beat in both we are looking over our shoulder. “These two games could well determine how our season will go. “I have been pleased with our league form but we need that to continue into these two big games. And afterwards he added: “We lost a bit of momentum in the second half and we suffered for it. A two goal lead earned inside the first fifteen minutes seemed like a distant memory by the time the final whistle sounded at Netherdale. A Des Sutherland inspired Gala came roaring back after a nervy start by them allowed Vale to cruise into a seemingly comfortable lead. A freak own goal by George Windram was the first part of the self-inflicted damage before they conceded a penalty which Liam McIntosh converted to put Gala two goals down after only fifteen minutes. But rather than licking their wounds, they bit back thanks to Sutherland’s opportunism. And then a much improved second half saw them punish Vale who looked shell shocked. Sutherland grabbed his second before Stuart Noble got their noses in front and trialist Sean Pringle wrapped it up. Vale came into this derby missing three key men in Jay Stevens, Blair Atkinson and Kevin Motion but they started confidently and only five minutes had elapsed when Windram hit his own net. Galashiels native Tommy Paterson flighted a free kick forward which was won in the air by the smallest man on the park in Brad Raiker. Amid the commotion Windram got a boot on the ball but could only send it high out of the reach of John Dodds. The bright start continued when Sean Stewart let fly with a volley from outside the box, but the net was bulged again after fifteen minutes. Raiker had to go off after hurting his foot in a heavy challenge, and was replaced by Ross Lamb. Playing against his old club, Lamb was immediately involved when he burst into the box on the left hand side and was shoved over. McIntosh did not mess about and was nerveless in sticking his quickly taken kick away. There looked to be no way back for Gala, especially with the way they had started the match, but the deficit was halved five minutes later. Captain Billy Miller did most of the spadework in playing a one-two with Stuart Noble and homing in on goal, only to be stopped by a brave tackle from opposing skipper James Elliot. But the ball broke to Sutherland who made no mistake. The excitement faded slightly, although both teams plugged away looking for what would be a vital goal in the fate of this tie. Keith McLeod stung Dodds’ palms after a clever ball by Robbie Manson and Ainslie Hunter combined with McLeod before volleying wide. Noble flicked a header wide from Darren Smith’s corner and Gala were incensed when the far side linesman flagged Adam Watson offside when he appeared to be in the clear. Smith’s deliveries were dangerous and when Vale failed to clear a free kick the ball dropped to present Sutherland with a clear opportunity but he blasted over. Fairydean Rovers came flying out the traps after the break, no doubt sensing what would have at one point seemed like an unlikely comeback. By the same token Vale looked shaken by the prospect of throwing away the three points. The product of those two ingredients was an equaliser after two minutes. Elliot had been one of the top performers at the back but an error from him allowed Sutherland to coast in and bury the leveller. Centre back partner Keith Boyes almost did the same to let in Noble but Elliot covered across well. The visitors gradually got back into calmer waters and Stewart struck over after picking up the ball in the inside right channel and advancing forward. Good play by Patterson and McLeod led to a shot from Lamb but it was comfortable for Dodds. He had more trouble in dealing with McIntosh’s effort which he spilled and Vale were soon ruing the big keeper’s presence when Noble put them behind. The striker had been posing problems with his power and he zoomed on to a long clearance before sending Jamie Shiel the wrong way. Subsitute Ross Aitchison almost made it safe shortly after when his volley from close range was blocked, with Gala feeling a hand had been used. Things were getting desperate for Vale and Manson resorted to trying his luck from 30 yards from which he almost scored a special goal. But with nine minutes remaining Pringle eased the ball over the line from a yard following a good stop by Shiel. As Vale pushed on, Gala countered and Noble almost made things worse but his low drive was stopped by Shiel. A McLeod curler was as close as it got to another comeback but it curled the wrong side of the post. Vale: Shiel, Mercer (Lynch), Elliot, Boyes, Patterson, Stewart, Manson (O’Donnell), Hunter, McIntosh, Raiker (Lamb), McLeod. Not used: McQueen. The 3-2 win over Spartans a week past Saturday was a timely reminder of the dangers that Gala Fairydean Rovers can pose, particularly at their Netherdale home. A look at the Lowland League table alone might provoke a neutral observer to conclude that they are one of the weaker teams but the Spartans result is not the sole piece of evidence available to disprove that theory, and Steven Noble’s men will feel that they should be in a higher position. Much fancied Highland League outfit Fraserburgh were disposed of in the Scottish Cup before League 2 title challengers Elgin City ended Gala’s run. Other notable results have included a 4-1 victory over Heston Rovers in the South Challenge Cup and a 2-2 draw with Cumbernauld Colts, who are above Vale in fifth. It is pertinent that those have all come at Netherdale, which is where Vale must attempt to take the points tomorrow. Inconsistent teams can prove unpredictable and Vale’s own unreliability adds to that uncertainty. The weekend’s 1-0 South Challenge Cup loss to Threave Rovers was the latest in a line of disappointments in knock-out competition. Conversely though league form has been pretty solid and Chris Anderson is hoping that continues in tonight’s derby. He said: “We are all looking forward to this game and see it as a great game to bounce back from our cup disappointment. “Gala have bigger resources and are further down the line in terms of infrastructure but I have great belief in my players and expect a performance to match. Chances are boosted by the returns of Keith Mcleod, Keith Boyes, Sean Stewart, Steven Lynch and Ross Brady. A win could put Vale ahead of Cumbernauld and level on points with fourth place Spartans, depending on how they fare against Preston Athletic this evening. Gala could jump as high as 11th if they secure a result. The game kicks off under the floodlights at Gala’s Netherdale at 7.45pm.